Sports fans — whether they follow football, baseball, basketball, soccer, hockey, cricket, tennis, golf, table tennis, field hockey, volleyball, or even mixed martial arts — show an immense amount of support for their favorite athletes across the globe. Fans devote many hours every year watching and cheering for their teams and the sports industry is a pillar in the global economy, and yet we pay relatively little attention to how sporting events intersect with work. Psychology researchers Panagiotis Gkorezis and Despoina Xanthopoulou of Aristotle University of Thessaloniki, Greece, Victoria Bellou of the University of Thessaly, Greece, APS Fellow Arnold B. Bakker of Erasmus University of Rotterdam, the Netherlands, and Angelos Tsiftsis of the University of Nicosia, Cyprus, wanted to know how Sunday night soccer in Greece might affect fans’ productivity at work the next day if their favorite team was in the spotlight. Gkorezis and colleagues theorized that fans’ heightened emotions during an important game — their excitement, humiliation, or anger — might spill over from the team’s stadium to the office. 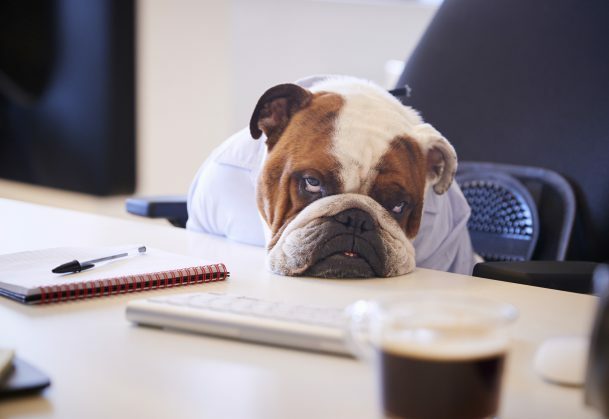 If participants were dissatisfied with their team’s performance, they hypothesized, distress and dysfunction might persist until the next day, making them less enthusiastic about work and hampering their productivity. If they were satisfied with their team’s performance, then a positive mood state of enthusiasm and happiness may carry over from the Sunday game and help them engage with their work and complete their tasks. Focusing on a military unit in Greece, the authors recruited army personnel who diligently followed a soccer team on a weekly basis by attending games, watching them on TV, or listening to them on the radio. The researchers asked the participants to complete four diary entries on Monday afternoons if their team played on the Sunday before. Due to the occasional Saturday and Monday games, the researchers allowed six weeks for participants to complete their four diary entries. In their diary entries, the servicemen responded to survey questions that measured how much the participants identified with their team (e.g., “When I talk about my [soccer] team, I usually say we rather than they.”), how satisfied with their teams performance they were (e.g., “I am satisfied with the recent result of my team.”), their mood when they arrived for work (e.g., enthusiastic, excited, upset, distressed, irritable), how engaged they were with their work that day (e.g., “Today, I was completely immersed in my work.”), and how well they performed their duties (e.g., “Today, I performed well”/“Today I fulfilled all demands of my job.”). The researchers found that participants who were satisfied with their team’s performance on Sunday did not show much change in mood, work engagement, or task performance on Monday morning. However, when participants were dissatisfied with their team’s performance on Sunday, they did report more negative mood on Monday, which was linked with lower engagement and productivity. The researchers noted several limitations to their research, including the fact that the participants were from a very homogenous sample of men in the military, the majority of whom had bachelor’s or master’s degrees. Despite this, “these results suggest that managers should be aware that certain events outside work (i.e., a bad performance of employees’ favorite [soccer] team) may have an unfavorable impact on employees at work and thus make an effort to prevent such a negative spillover,” they said. Poor work performance may not be the only concern after a disappointing game day, though; according to a report published in Psychological Science, employees may also face health concerns as well. Yann Cornil of the University of British Columbia and Pierre Chandon of INSEAD conducted a rigorous study comparing the outcomes of two seasons’ worth of NFL games with food consumption in over two dozen cities in the United States. Cornil and Chandon hypothesized that the vicarious emotional experience of losing the game would lead to “self-regulation failures” in which people would eat more unhealthy food; winning the game, on the other hand, would lead to healthier eating. Interestingly, they also expected that the smaller the point spread was, the stronger the effect would be, given that “opponents are more evenly matched” and the game would be more engaging and unpredictable. Analyzing data from 726 panel members, the researchers found that people in cities with a losing football team ate about 16% more saturated fat on Monday following a game compared with their usual consumption. People in cities with a winning football team, on the other hand, ate about 9% less saturated fat compared with their usual consumption. These trends held even when people who weren’t football fans were included in the sample, and the trends were particularly noticeable when a game came down to the wire. “People eat better when their football team wins and worse when it loses, especially if they lost unexpectedly, by a narrow margin, or against a team of equal strength,” Cornil and Chandon note. Together, these studies highlight the aftermath of weekend sports games and suggest that employees keep these effects in mind when they start work again on Monday.